Point A Media is a big fan of search engine marketing. It is an exciting, affordable, quantifiable and highly targeted way to reach customers, and we really love choosing key words, selecting networks, stratifying data and producing all kinds of fancy stats about impressions, primary positions, engagement and clicks. Point A Media is involved in concepting, programming, planning, placing and analyzing data from web advertising throughout the world. 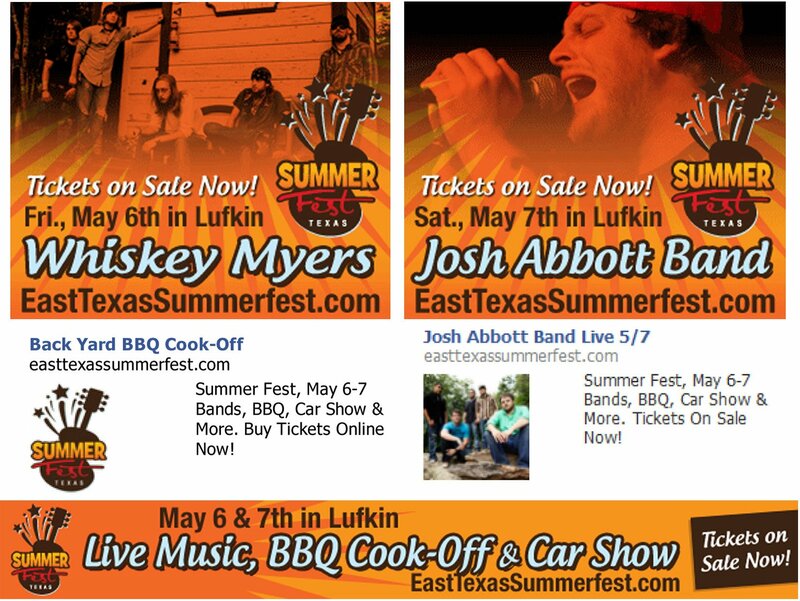 Lufkin CVB's first-ever Summerfest drove tons of traffic to their website with a targeted SEM campaign that sought out BBQ, classic car and music fans. Bing, Yahoo, Google and Facebook ads were seen by 2.4 million prospective visitors, who bought hundreds of pre-sale tickets, registered dozens of BBQ competitors and showcased a lot full of classic cars. 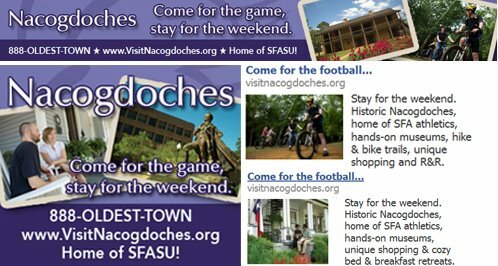 “Come for the football… stay for the weekend.” messages dominated anonline campaign targeting home towns of university teams traveling to play in Nacogdoches. In addition to graphic ads, the Nacogdoches Convention & Visitors Bureau ran mobile text and search text ads throughout Google & Facebook. Our ads tallied more than 555,000 impressions in a single month! 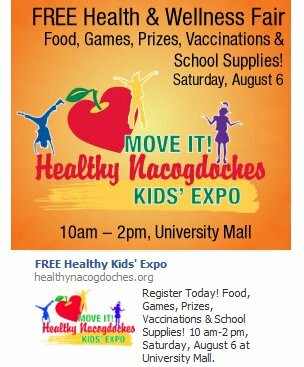 Healthy Nacogdoches' first-ever Move It! Healthy Kids' Expo received a huge push from their community-wide campaign which included targeted ads on Google and Facebook. More than 255,000 impressions were recorded for the campaign. Attendees were asked to pre-register, and online advertising was pulled two weeks in advance of the pre-registration deadline because so many applications had been received. Commercial Bank of Texas has successfully extended multiple campaigns through search engine marketing. 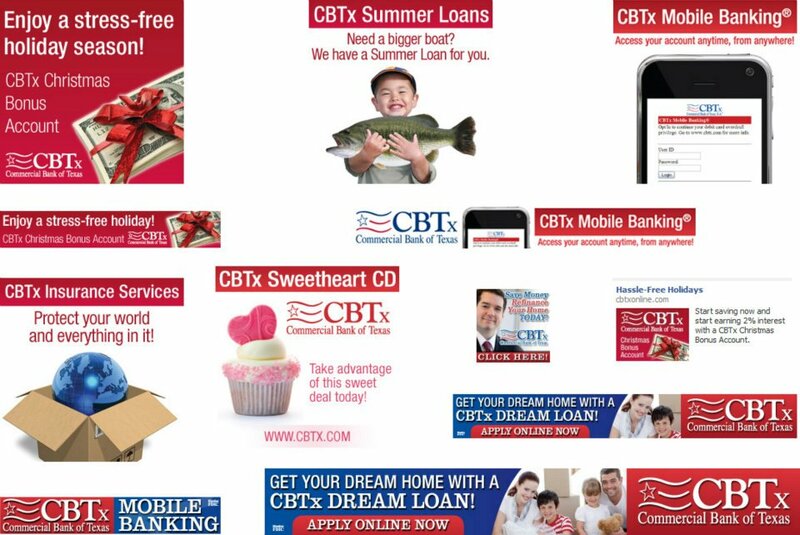 In addition to tight demographic targeting in new and existing markets, SEM has given CBTx new ways to reach mobile customers.